He might not be the most likeable footballer around, but even the most hard-hearted of you is sure to feel some sympathy for the plight of QPR’s Kieron Dyer. 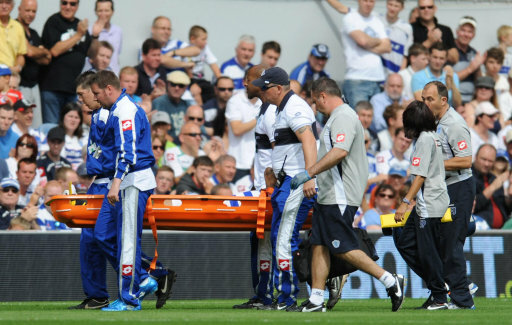 The former England man has seen his career shredded by a catalogue of serious injuries, the latest of which has scuppered his chances of getting a regular game at Loftus Road. Dyer only lasted six minutes of his Rangers’ debut in August after damaging his ankle but it was initially thought that the injury would be a relatively minor one. However. now it has been revealed that the midfielder has suffered a relapse as well as picking up a new ligament injury. Will the former Newcastle United man ever string a meaningful number of games together again? If I was papa Rooney I’d bet no.